Stephen Weinroth was, from 2003 to mid-2008, a Managing Member of Hudson Capital Advisors, LLC and since then he has been an advisor to Coral Reef Capital Partners, a successor firm formed by some of the Hudson Capital employees. He is Chairman of the Board (Emeritus) of Core Laboratories, N.V. (NYSE), a global oil field service company, where he had previously been Chairman from 1994 through 2001. From 1989 to 2003, he served as Co-Chairman and head of the Investment Committee of First Britannia Mezzanine, N.V., a European private investment firm. He is presently Chairman of the U.S. Central Asia Education Foundation, a successor to the Central Asian-American Enterprise Fund, to which he was appointed by the President of the United States. Mr. Weinroth has been Chairman of four NYSE-listed companies and Chief Executive of three of them. He is also a Trustee and the immediate past Chairman of The Joyce Theatre Foundation, Inc. and Vice Chairman and a Trustee of the Paul Taylor Dance Foundation as well as a Board member of the Flea Theater. 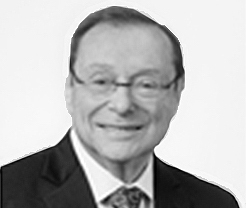 Mr. Weinroth has been a Director of Hovnanian Enterprises, Inc. since 1982, is Chairman of the Company’s Compensation Committee and is a member of its Audit Committee.